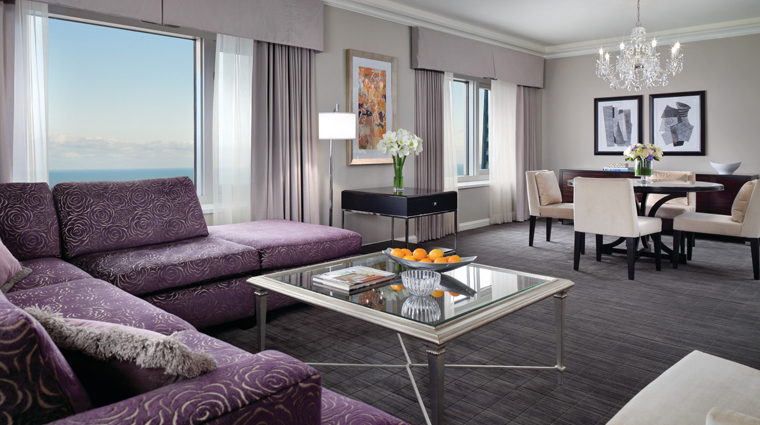 With its prime Magnificent Mile location and attractive, contemporary rooms, Four Seasons Hotel Chicago is a top choice for visiting celebrities and those who appreciate the peace and quiet the polished staff practically guarantees. 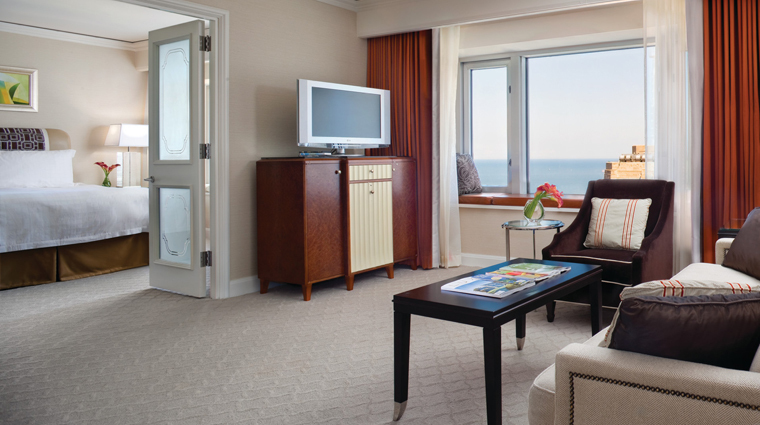 Rooms feature French deco style, with fabrics in rich chocolate, deep blue and shimmery silver hues, and new leather window seats in many rooms overlooking Lake Michigan and the Gold Coast. The lobby, grand ballroom and restaurants and the larger suites and apartments received updates in 2009. Two things haven’t changed though: the wonderful, personal service, and the location. The hotel is situated above the upscale shops of 900 North Michigan, and steps from the lakefront and Chicago’s top shopping. Whether you’d like help navigating the city, need recommendations for some of Chicago’s best sights, require assistance with transportation or would like to make reservations at the hotel’s restaurant or acclaimed spa, there’s almost nothing that the concierge at Four Seasons Chicago won’t be able to assist you with. 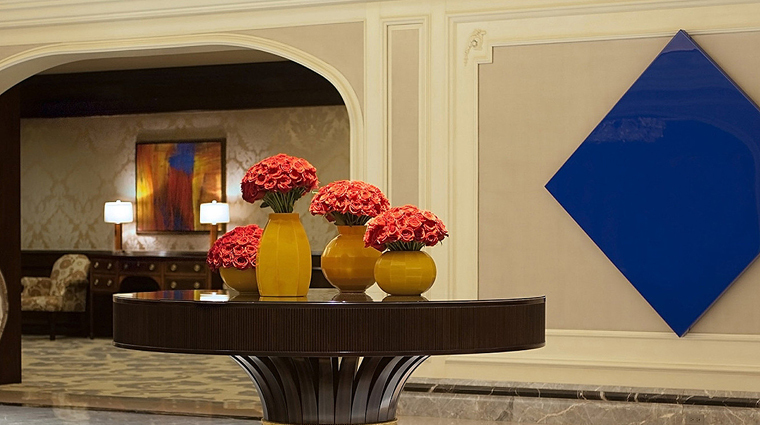 The luxury hotel is just an elevator ride away from the best shops on Chicago’s Magnificent Mile, as well as a short walk from the Museum of Contemporary Art and the iconic John Hancock Observatory. Taking a dip in the pool at Four Seasons Hotel Chicago is an opulent experience — the indoor 50-foot pool is outfitted with Roman-style columns and a domed glass ceiling, and also includes an attached whirlpool and kids’ pool, making it the perfect place for the whole family to relax. 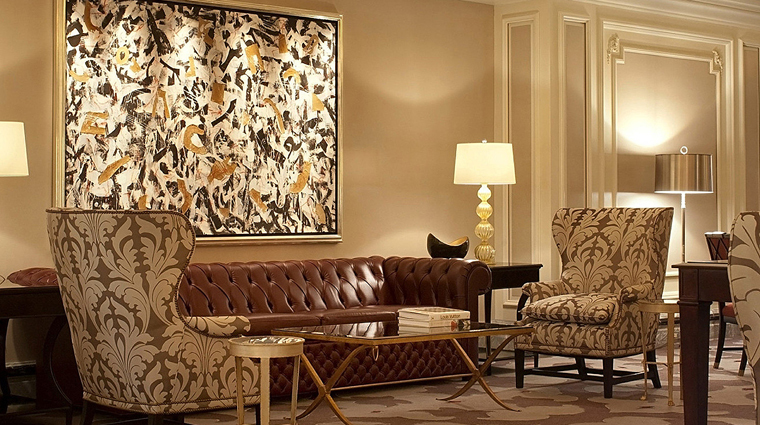 Guest rooms and suites at the Chicago hotel are reminiscent of mid-20th century France, and recently underwent a transformative facelift thanks to renowned designer Pierre-Yves Rochon. The luxury hotel’s spa features treatments fit for royalty, including gemstone therapies, an “essence of ruby” treatment, or the champagne paraffin pedicure, which begins with an antioxidant-rich grape seed oil exfoliation, and ends with a glass of bubbly. Be on the lookout for special events at the hotel’s signature restaurant, Allium, like a month of all-you-can-eat fried chicken or hot dog and beer pairings. Four Seasons Hotel Chicago possesses a state-of-the-art gym, complete with the best cardio and free weight equipment there is. 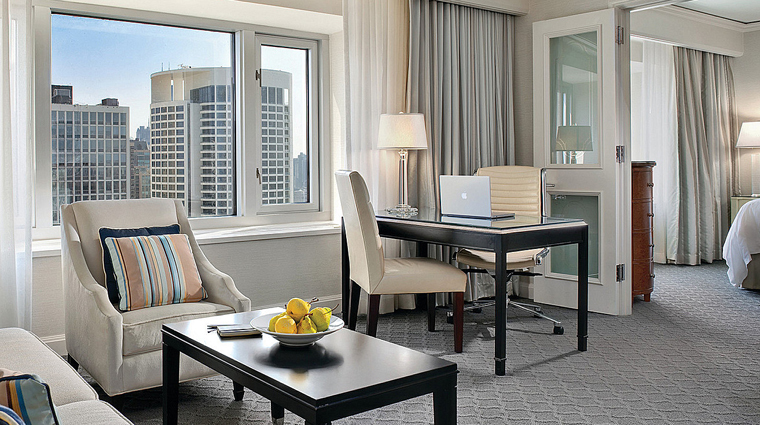 Plus, it’s conveniently situated overlooking the bustling Magnificent Mile — meaning you can work out with a view. 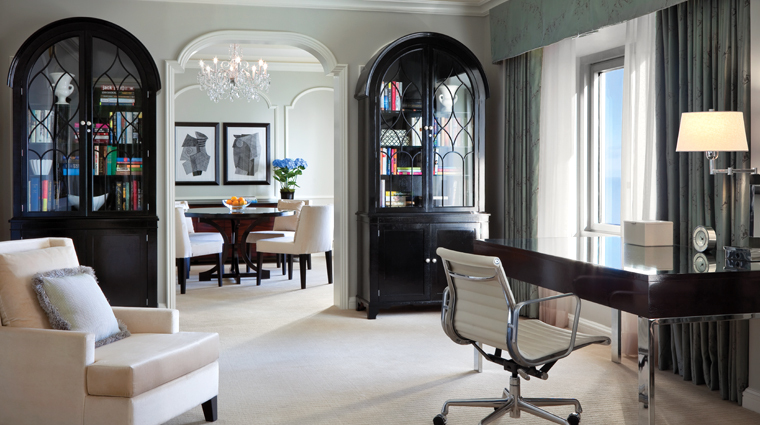 For stays that exceed three days, we highly suggest booking one of the hotel’s suites, particularly a Deluxe Four Seasons Executive Suite. These elegantly decorated, 575-square-foot spaces are located between the 32nd and 45th floors, providing optimal views of the Chicago skyline and Lake Michigan. If you have any allergies, don’t worry — hypoallergenic pillows are available upon request, and you can always call the Five-Star hotel’s helpful concierge staff should you need anything else to make your sleep undisturbed and peaceful. 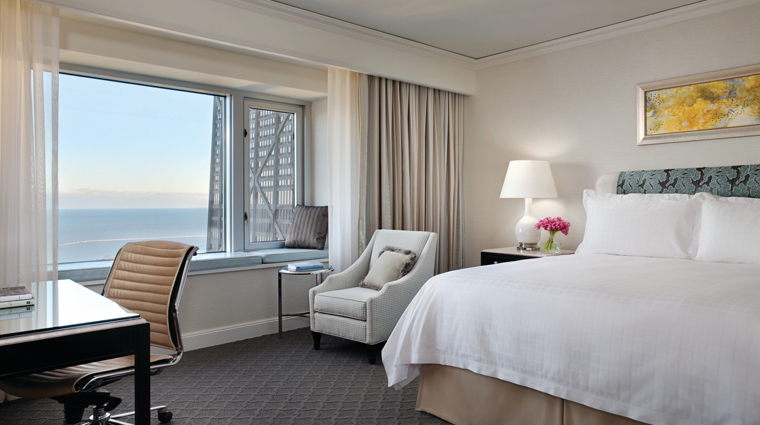 There are 346 guest rooms at Four Seasons Hotel Chicago, and all are elegantly decorated and come with stunning views of the city or Lake Michigan. The comfy king-sized beds make it impossible not to get a good night’s sleep, especially with the twice daily turndown services, where soothing music, a terry cloth robe and pair of slippers help in lulling you to dreamland.. Guest rooms also flaunt stunning marble bathrooms, offering L’Occitane bath products for you to use during your visit. The chic and stylish spaces offer an abundance of handy amenities including and iHome docking station, refrigerated private bar, Wi-Fi access and LCD flat-screen TVs. The hotel’s signature restaurant Allium serves up modern, farm-to-table cuisine in a chic fine-dining setting right above the city’s Magnificent Mile. The menu at Allium rotates seasonally making the best of local ingredients like jumbo prawns and crispy pork belly with butternut squash and balsamic glazed pears or west coast sablefish with brown butter parsnips, cranberry, and maitake mushrooms. For a more casual dinner, head to Allium's bar, which offers cozy seating, light bites and new takes on classic cocktails (plus, when the season is right, adult snow cones). Four Seasons Chicago’s Allium restaurant serves a decadent four-course prix-fix Sunday brunch accompanied by your choice of aperitif — a mimosa, rotating brunch punch or beloved local beer 312 Urban Wheat Ale from Goose Island. Brunch finishes with a decadent buffet of housemade sweets, including berry cheesecake in a cup, strawberry shortcake and red velvet cupcakes.